The Lotto Black Book Review - False Lottery Formula! This entry was posted in Lottery and tagged lottery black book, lotto black book, lotto black book formula, the lotto black book, the lotto black book review by Lotto. Bookmark the permalink. One of our office people used the lotto black book and it is plain just trash, no math professor designed this losing system, should have known better. Thanx for a good updated review revealing this stupid system for what it really is, a big joke! SERIOUSLY! You gotta be brain dead if you buy into this Lotto Black Book nonsense! System has been proved a non-winning make belief system, no such professor created this system. He gets shot for his secret lottery system formula, a system you could just buy? This is completely a made up story, it’s not true and no one was shot. I would also like to see the claimed jackpot winnings. The system is not on the up and up and ALL review sites state the system has no real value or any real winners. why in the world would anyone buy such a silly system? This is one of the very few real reviews I have read on this system, the rest were just as you say, by people promoting the system to make money period! I have been using Lotto Black Book for many months. I am hitting consistent nothing using it. System was said to give 47 percent winnings, seen nothing, no winnings. System is junk, system is hitting anything but winning numbers, junk! Agreed the Lotto Black Book is a system with serious flaws. The system is nothing special at all, where do they come off claiming the system is by Math Professor Larry Blair, this is not real! The Lotto Black Book is full of basic information you can easily search and find online. I agree that nothing about this system is real and there does not seem to be any lottery winners who used and won with the system, even the seller the false Larry Blair, shows no real proof of any winnings in any lottery games, just pure sales pitches to lure in suckers like me. 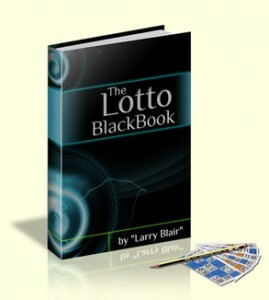 If I re-call the Lotto Black Book stated the professor took 27 years to create, why now does it say took only 9 years? The old winning photo shown on the old website was not even Larry Blair, it was another lottery winner, his real name was Michael Anderson with the face blacked out to hide the true persons identity. The system is nothing more than a crock of lies!